Richmond (12-31) opened up an eight-game road trip on Monday night with a difficult, 2-1 walkoff loss at NYSEG Stadium. 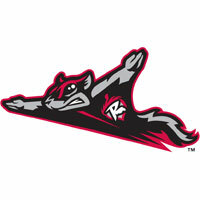 Flying Squirrels shortstop Christian Arroyo tied the game, 1-1, in the ninth with a home run but Binghamton loaded the bases in the bottom of the ninth and won on a squibbed infield single up the first base line off the bat of L.J. Mazzilli. Richmond’s Kyle Crick hurled a season-high six innings in the no-decision. Arroyo had two hits in the loss. The Squirrels trip continues on Tuesday at 6:35 PM in Binghamton. Richmond will return to The Diamond on Tuesday, May 31st with a Silver Squirrels Night. Please note the Flying Squirrels office will be closed Friday through Monday in honor of Memorial Day. The full promotionalschedule can be found here. Binghamton’s Mickey Jannis squared off against Richmond’s Kyle Crick to start the four game series. Jannis, using a knuckleball, was able to work through the Squirrelslineup without much incident throughout the day. Christian Arroyo singled in the first but Jannis ended the inning with his first of eight strikeouts on theday. Binghamton grabbed an early 1-0 lead off Squirrels starter Kyle Crick in the bottom of the second inning. Victor Cruzado connected on his fourth home run of the season, a solo shot to right centerfield. Crick allowed a few hard hit balls early on, but yielded just the one run through a season-high six innings of work. Bothhurlers picked up steam through the middle innings. Jannis retired 10 consecutive batters into the sixth inning until Rando Moreno drove a single ot left field. Crick retired nine straight hitters until Dominic Smith double to begin the seventh inning. Crick then walked catcher Colton Plaia in a 13 pitch at bat to end his outing. Tyler Mizenko entered and picked up a pair of strikeouts and a fly out to keep the game 1-0. Crick allowed just the one run on four hits and 97 pitches in the no-decisions. Jannis also received a no-decision in his finest start of the year. Jannis tossed seven innings and allowed just three hits on 93 pitches. Beck Wheeler replaced Jannis with a scoreless ninth inning. Ray Black replaced Mizenko to start the eighth and blew away a pair of hitters in a1-2-3 inning. Black hit 104 on the NYSEG Stadium radar gun in the outing. The B-Mets then turned to their hard-throwing closer Akeel Smith to try and close out the game. Smith punched out the first two hitters but then allowed a solo blast to Christian Arroyo to tie the game, 1-1. It was the second home run of the season for Arroyo. Binghamton responded with in the bottom of the ninth off reliever Dan Slania to steal the win. Matt Oberste and Dominic Smith opened the inning with base hits. A sacrifice bunt and intentional walk loaded the bases for L. J. Mizzilli. Mizzilli won the game wih a squibbed ball up the first base line as he dove into first base to elude the tag. It was the 13th one-run loss for the Squirrels this season.